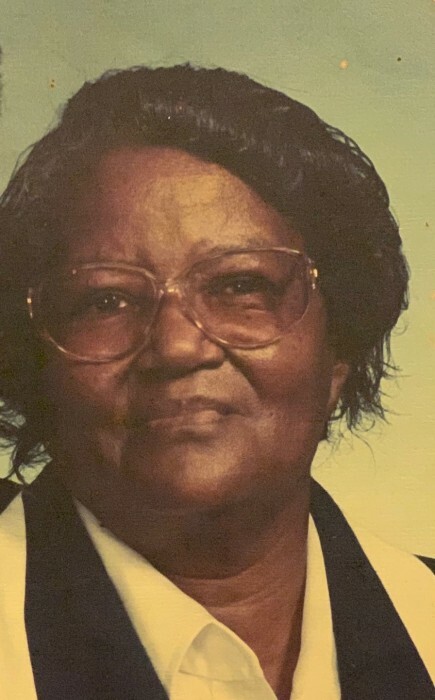 Mrs. Retha Mae Exum Whitfield, 87, of 205 Thomas Street, Goldsboro, NC passed away at 306 Pineland Dr., Goldsboro, NC on February 3, 2019. The funeral service is scheduled for Saturday, February 9, 2019 at 1:00 pm at Greater Saint John F.W.B. Church, 613 Mitchell Road, Dudley, NC. Pastor Johnnie Wade will deliver the eulogy. Burial will follow in Fairview Cemetery in LaGrange, NC. A public visitation will be held on Friday, February 8, 2019 from 3:00 pm until 6:00 pm at Central Heights Church, 302 Ervin Drive, Goldsboro, NC. Mrs. Whitfield was preceded in death by her husband, Lenston Whitfield, Sr.; her parents, Thomas and Lillian Jones Exum; two sisters, Glenelle Davis and Ethel Mae Gray; and one brother, Roosevelt Exum. She leaves many loving and cherished memories to: seven sons, Lenston Whitfield, Jr. (Jean), Charles Whitfield (Juanita), Kenneth Whitfield (Annie Mae) and Leon Whitfield (Sharonda), all of Goldsboro, NC, Darnell Whitfield (JoAnn) of Kinston; Mac Whitfield (Ann) of Pink Hill, NC and Ira Jay Whitfield of LaGrange, NC; thirty-six grandchildren; thirty-nine great grandchildren; ten sisters-in-law, Megertha Exum, Reatha Edwards, Darris Bizzell, Janice Bizzell, Annie Doris Bizzell, Brenda Manley, Edna Jean Summers, Jackie Martin, Mamie L. Weeks and Betty Jean Whitfield; Seven brothers-in-law, Claude C. Bizzell, Jimmy Donnell Bizzell, Lindsay Ray Bizzell, Dual Wayne Bizzell, Ronnie Bizzell, Robin Bizzell and Melvin Morgan; and a host of nieces, nephews, cousins, other relatives and friends. Floral arrangements may be sent to Stevens Funeral Home, 1820 Martin Luther King Jr. Pkwy., Wilson, NC. The services are being handled by Stevens Funeral Home, 1820 Martin Luther King Jr. Pkwy., Wilson, NC.